Here’s a comic book that sometimes shows up on Amazon or eBay. 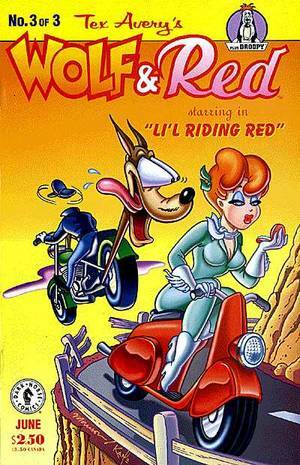 And yes there was really a series of cartoons with the Wolf and Red like this one. This entry was posted in Books and tagged comic book, red, scooter, tex avery, vespa, wolf by Tracy. Bookmark the permalink.